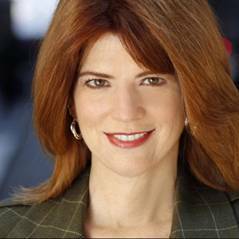 Jeanne M. Sullivan, General Partner at The Arcview Venture Fund, is this week’s guest on the Green Rush! Jeanne is a fierce advocate for legalization and regulation of the Cannabis industry and works as an adviser to investors for this new high growth industry. An inspiration to entrepreneurs across a host of verticals, Business Insider called Jeanne one of the rising stars in the cannabis investing landscape and she’s been honored by the New York Hall of Sciences for her work inspiring girls and women in science and technology. In this week’s conversation, Lewis and Anne chat with Jeanne about the developments in the cannabis industry that are exciting her the most and what she looks for when it comes to investing in the space. As a long time tech investor, Jeanne offers parallels for the emerging cannabis space and how it is mirroring the innovations she seen in tech. Additionally, Jeanne opens up on what first drew her to invest in the space, why she thinks women are well-positioned to succeed in this industry and how the ending of federal prohibition will impact investing and the future of cannabis. Jeanne is a truly inspirational figure in the cannabis space and we loved discussing her experiences raising capital and investing in cannabiz. Jeanne M. Sullivan is a fierce advocate and for the regulation and legalization of the Cannabis industry. Jeanne is a co-founder of a venture capital firm in NYC and long- time tech investor and now building the Arcview Venture Fund – to invest in the vibrant cannabis sector. Many great Unicorns are being created to serve the cannabis industry – a focused investing target. Ms. Sullivan is a sought-after industry speaker on the subject of “how to get the wallet out of investors’ pocket and what entreprenuers need to do to win.” Named by Business Insider 2018 as one of the “rising stars” in the cannabis investing landscape, Sullivan is leveraging her tech investing experience in this fast growing cannabis sector about science, wellness, social justice issues and wealth creation. 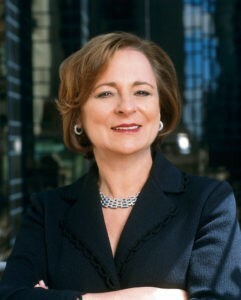 Forbes cited Sullivan as “one of the women VCs changing the world – grooming the next generation of female entrepreneurs”. The New York Angels organization honored Jeanne as the OPEL award winner – Outstanding Professionals for Entrepreneurial Leadership. The New York Hall of Science honored Jeanne for her work inspiring girls and women in science, technology (STEM) sectors. Jeanne also serves on the Board of Trustees of the New York Hall of Science – a museum that introduces people of all ages to STEM learning. Welcome back to the Green Rush! This week we have Lewis and Anne back together again in booth chatting with the CEO of the Canadian Securities Exchange (or as some in the industry have dubbed it the “Cannabis Stock Exchange). Smaller than its more famous cousin, the Toronto Stock Exchange, the CSE got its infamous nickname over the last year as its become home to a lot of cannabis companies looking to capitalize on the public markets. In this week’s conversation, our hosts chat with Richard about why the CSE has become so attractive to cannabis companies, particularly those in the US who are unable to list on Nasdaq and NYSE. In addition, they touch on the early days of the CSE, why RTOs have become much more commonplace in the cannabis sector than traditional IPOs, how Canada legalization is going to impact the CSE and what Richard thinks will happen next as the industry continues to expand – hint hint it’s consolidation! In addition to the conversation with the CSE, we also have Green Market Report’s founder and friend of the podcast, Deb Borchardt, opening this week’s episode covering the biggest news in the cannabis industry and breaking down what she thinks were the overlooked stories from last week. Make sure you check out Deb’s work over at Green Market Report and follow her for the latest news on the next Green Market Summit. Richard Carleton has been CEO of the Canadian Securities Exchange for seven years. Prior to this appointment, Richard served as Vice-President Corporate Development with responsibility for the CSE’s technology, operations, market data and trading sales teams. Before joining the exchange, Richard worked as a business development consultant in Toronto and New York in the risk management and index product fields after spending twelve years with the Toronto Stock Exchange, serving most recently as a member of the exchange’s senior management team. Active in industry affairs, Richard served two terms as chair of the market data industry’s global trade association in the late 1990’s and is a frequent panelist at market structure and trading technology events across North America. 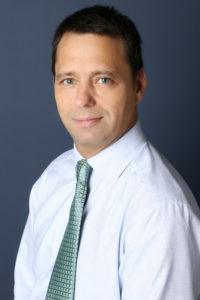 Richard also serves as a member of the boards of the Private Capital Markets Association and the Empire Club of Canada. 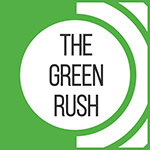 On the latest edition of the Green Rush, Lewis and Anne invite Phil Carlson from KCSA back into the booth for a roundtable episode talking about the latest news and trends in the industry. The Green Rush team explores with Phil the current cannabis landscape in the U.S., in what ways investors are helping to grow the industry, and how cannabis is disrupting other spaces such as the pharmaceutical industry and the alcohol industry. Additionally, with legalization underway in Massachusetts and Canada, the Green Rush team and Phil explore how these decisions will affect the U.S. cannabis space and upcoming elections. Phil leads KCSA’s Cannabis Investor Relations Practice. 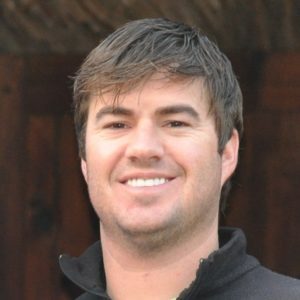 He has developed proactive investor relations and communication strategies for several multinational, micro and small cap cannabis companies. Through his extensive network, Phil has helped position his cannabis clients as thought leaders in the emerging cannabis industry. He has secured speaking engagements at premiere conferences and has organized several cannabis industry panels which have included himself as well as his clients. Phil is a Wall Street and Investor Relations veteran having worked at firms such as JPMorganChase and Merrill Lynch. 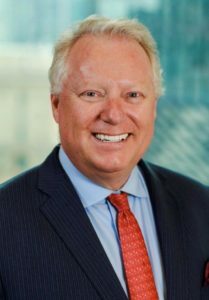 His experience includes IPOs and reverse mergers, implementing retail and institutional road shows, and providing strategic counsel to clients.